We have released a new Premium WordPress plugin – XYZ WP Insert Code Snippet. XYZ WP Insert Code Snippet is the premium edition for both Insert HTML Snippet and Insert PHP Code Snippet plugins. 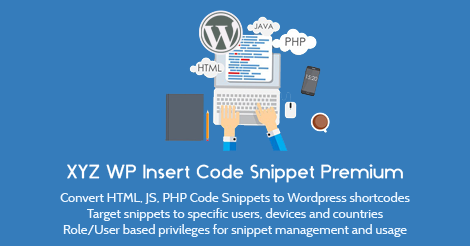 Find below some of the major highlights of the XYZ WP Insert Code Snippet WordPress plugin.